Thanks to the Adopt a Bear project sponsored by Raise Me Up, over 200 children on Ambergris Caye who wouldn’t otherwise receive a Christmas present, received one on Wednesday, December 20th. 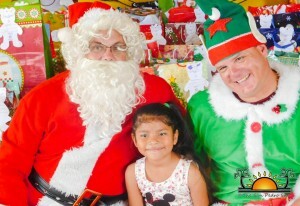 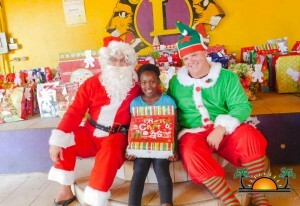 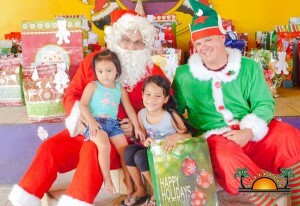 Many children gathered in the morning at the San Pedro Lions Den to receive their gifts from Santa Claus and his elf’s. 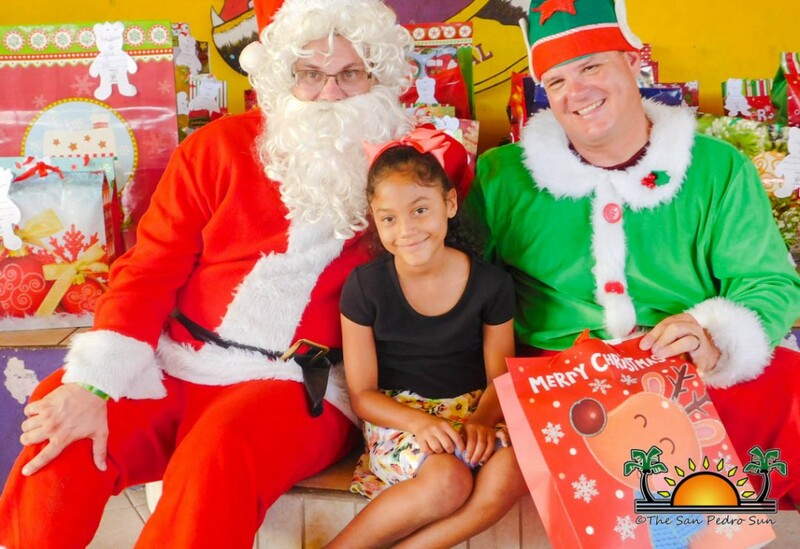 “Adopt a Bear” project doesn’t only benefit children of Ambergris Caye, as over 100 children on the mainland received a gift as well. 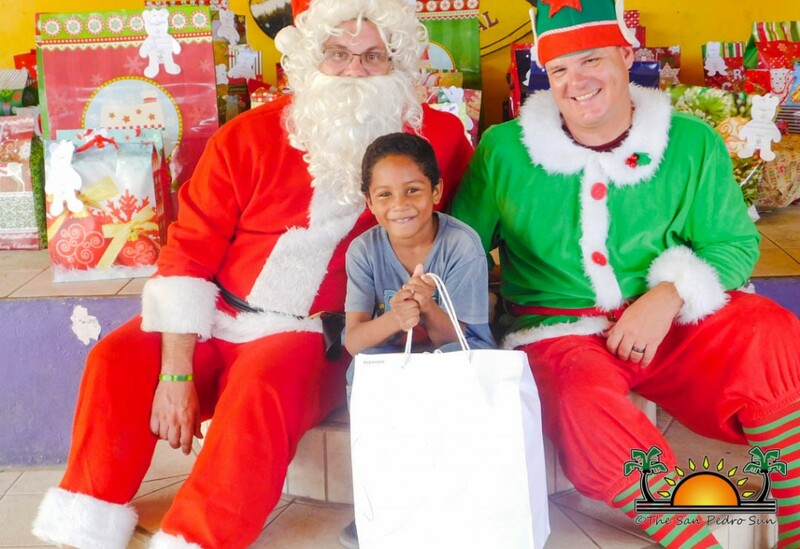 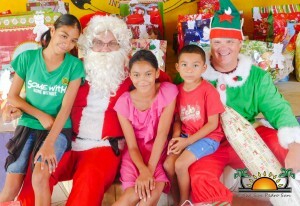 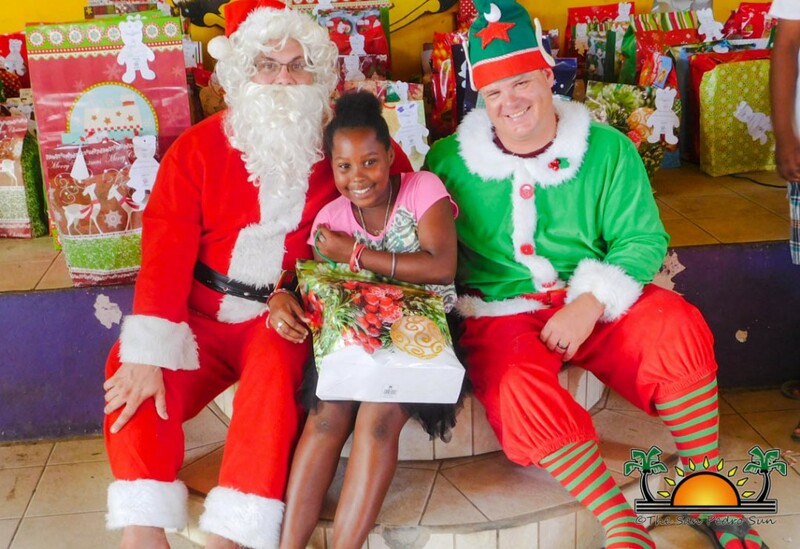 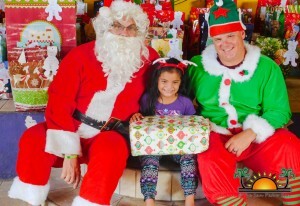 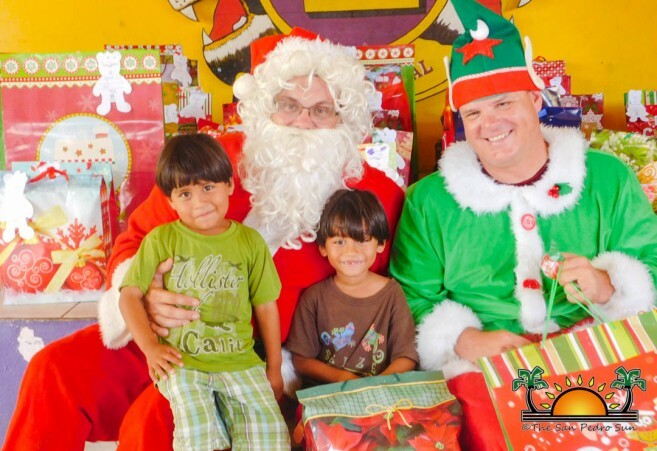 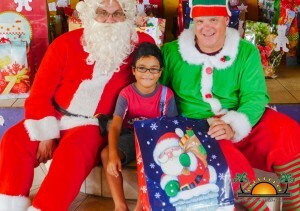 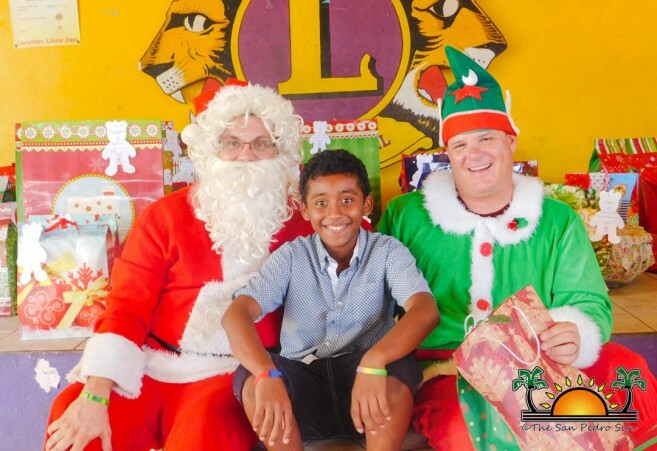 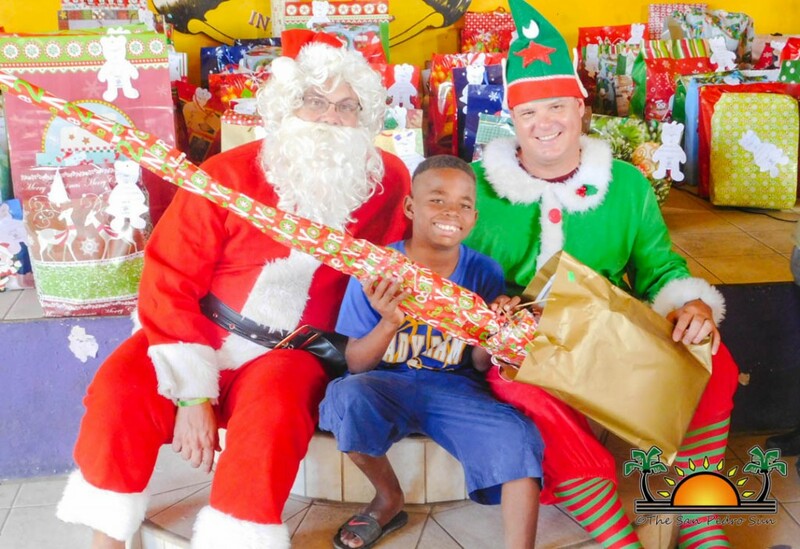 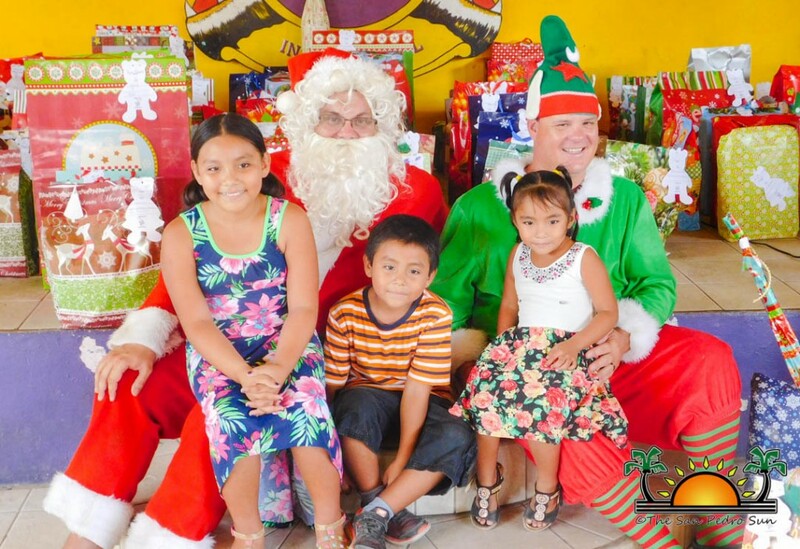 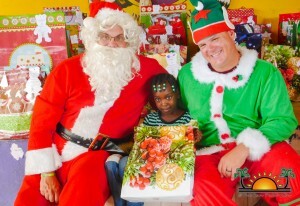 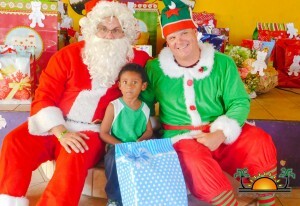 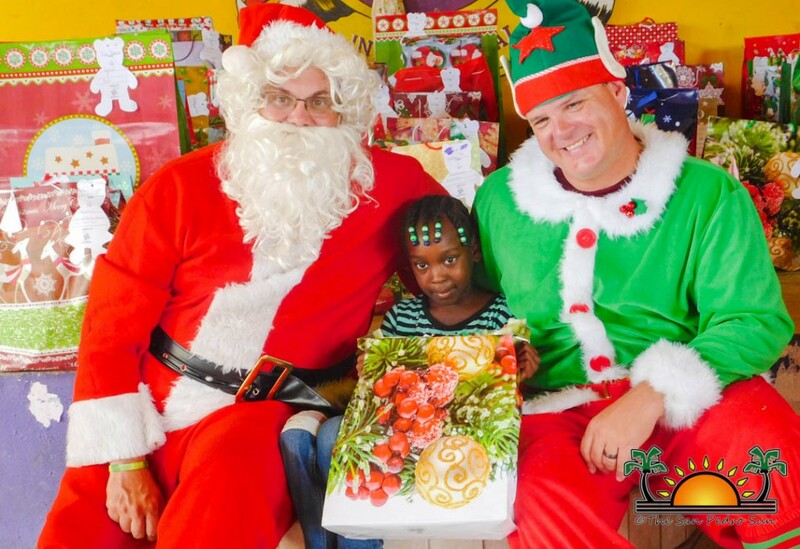 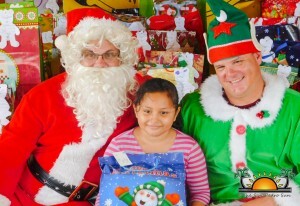 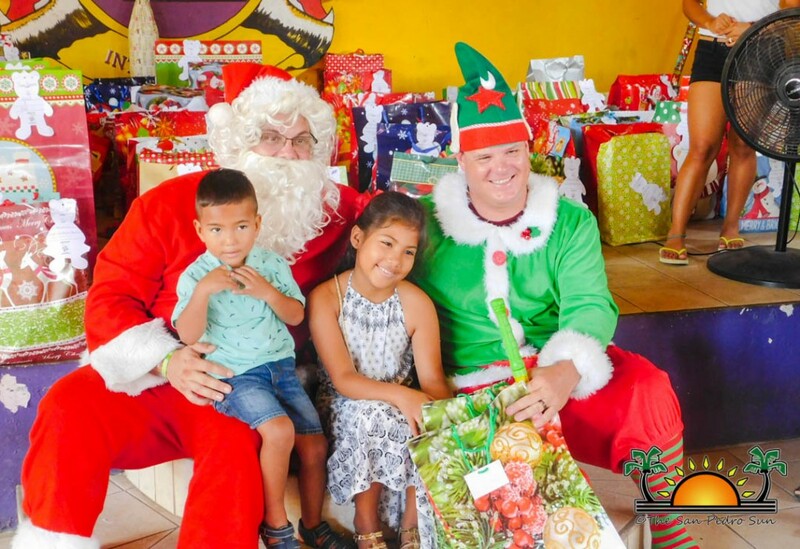 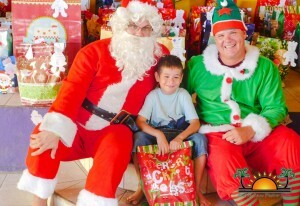 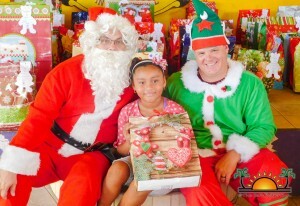 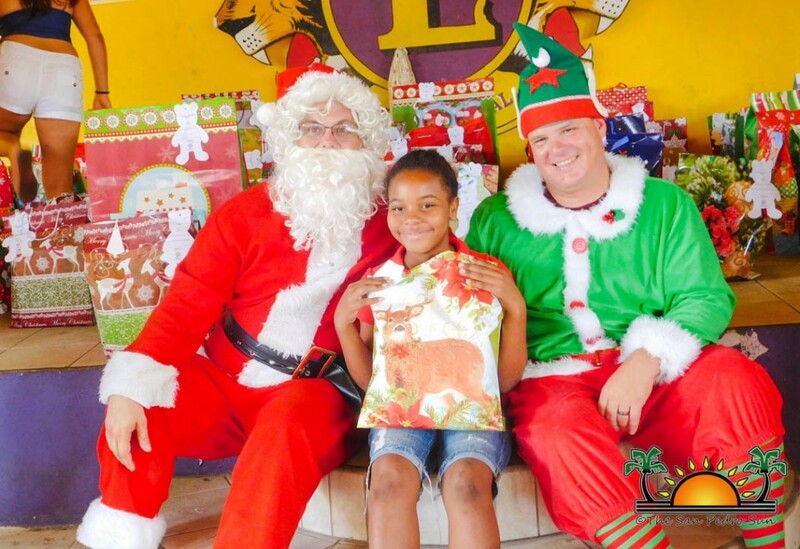 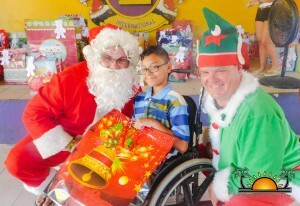 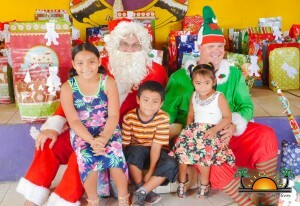 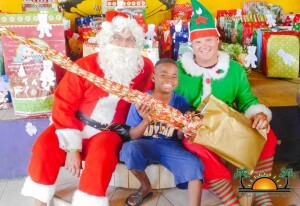 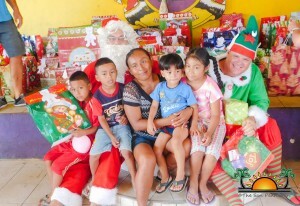 The presents were distributed on Thursday, December 21st to Liberty Children’s Shelter and Kings Home in Belmopan. 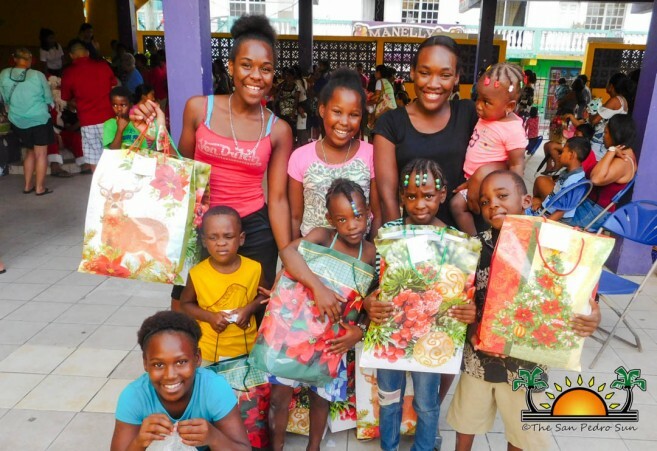 The “Adopt a Bear” program began in 2014 and was founded by the co-owner of Sandbar Hostel and Restaurant, Britney O’Daniel and Kaitlin McWhorter of Projects Abroad with the aim to bring happiness to the less fortunate children on the island. It involves residents and visitors choosing a bear ornament from a Christmas tree at participating locations. The bear is labeled with the name, gender, and age of a child, as well as their dream gift. 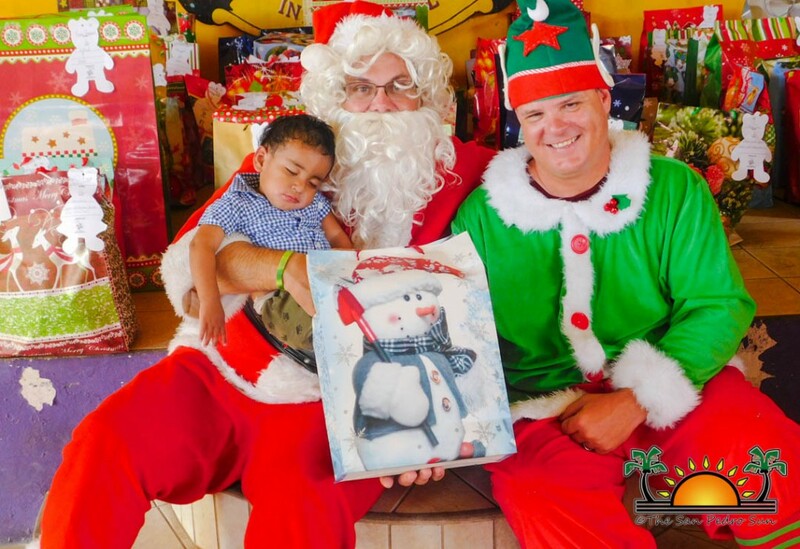 By adopting a bear, the giver is committed to purchase three items for the respective child; something they need, an educational item, and their wish gift written on the bear. Participating businesses in this year’s “Adopt a Bear” included, Hidden Treasure Restaurant, Sandbar, Wayos, Palapa Bar and Grill, Marbucks Coffee House, Crazy Canucks Beach Bar, and The Truck Stop. 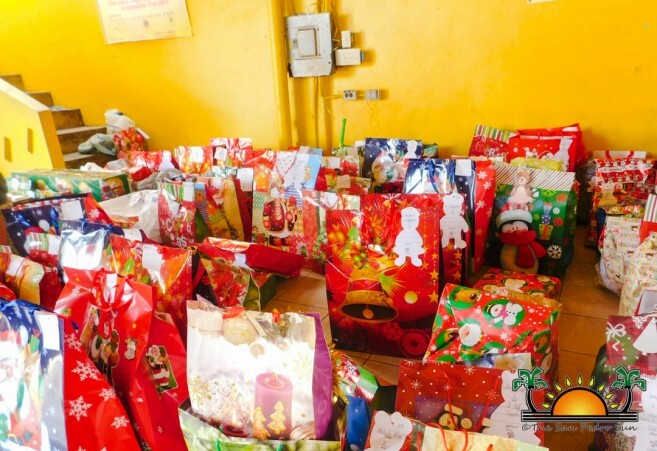 The names of the children were collected with help of the San Pedro Police department, San Pedro Food Bank, Dr. Otto Rodriguez San Pedro Polyclinic II, Social Services, Holy Cross Anglican School, San Pedro Roman Catholic School, Kings Home and Liberty Children’s Shelter. 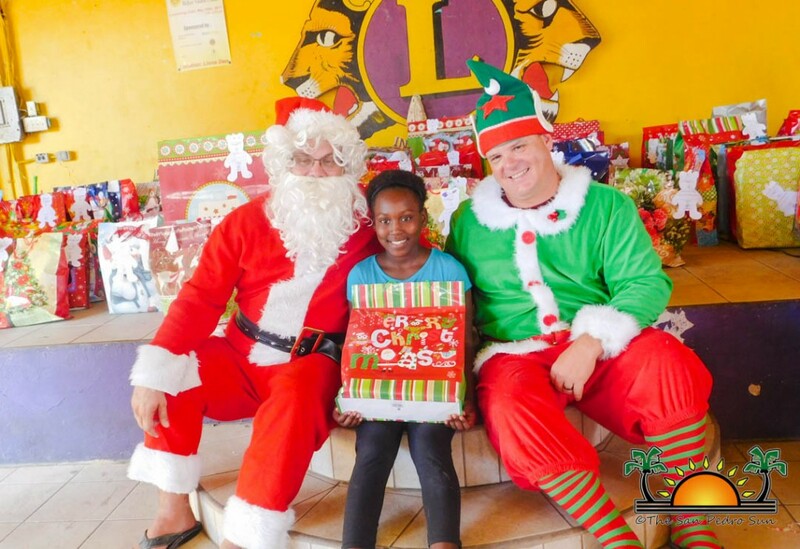 Organizers of the project thank everyone who adopted a bear and made a child’s Christmas a merry one. Adopt a Bear returns for the third time to the island.